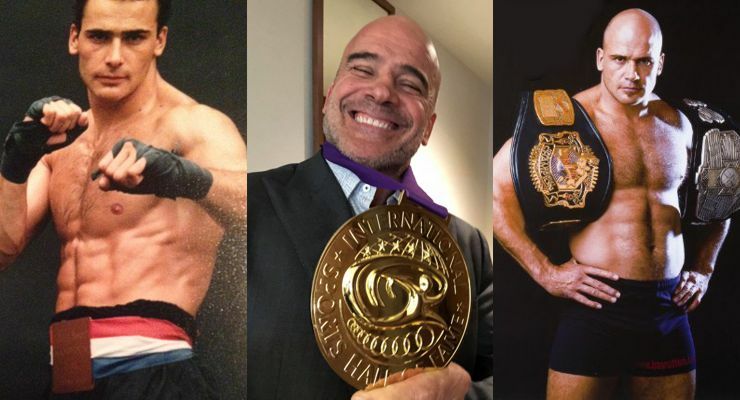 On Saturday, March 3, 2018 Bas Rutten was honored with induction into the International Sports Hall of Fame 2018 The 2018 ISHoF awards ceremony was held on at the Arnold Sports Festival in Columbus, Ohio. Dutchman, Bas Rutten, is one of the greatest mixed martial artist, kickboxer and professional wrestler of his time. He was a UFC Heavyweight Champion, a three-time King of Pancrase world champion, and finished his career on a 22 fight unbeaten streak (21 wins, 1 draw) and he was inducted into the UFC Hall Of Fame. In the 4-hours, 27-minutes, and 8-seconds he spent as a pro fighter, Rutten scored 13 knockdowns without getting dropped. His significant strike accuracy was 70.6%, the highest FightMetric has ever recorded. 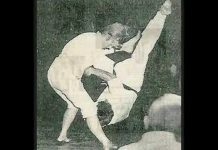 He attempted a record 53 submissions and successfully swept his opponents a record 46 times. It was professional fighter, Bas Rutten, that popularized the liver shot, both by punching and kicking, in MMA. It was one of his favorite tactics. 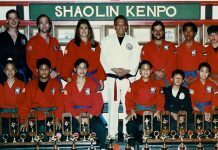 A very charismatic individual, he has capitalized on his celebrity since retiring from fighting in 1999. He has worked as a color commentator in several MMA organizations, including Pride, and has appeared in numerous television shows, movies, and video games. 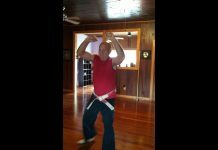 He also coaches MMA and is an inventor. Bas Rutten was born in Tilburg, Netherlands on February 24, 1965. He was diagnosed with both eczema and severe asthma at the age of 6 and unable to participate in sports. He was severely bullied as a child. Bas Rutten began boxing with a friend in elementary school and at the age of 12 he became interested in martial arts after watching Enter the Dragon starring Bruce Lee while his family was vacationing in France. 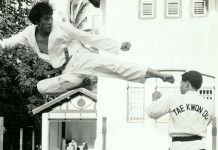 He soon began training in taekwondo earning a 2nd-degree Black Belt and in Kyokushin Karate also earning a 2nd-degree Black Belt. 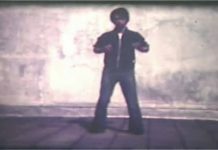 At the age of 20, he began competing in kickboxing while working as a model and bouncer. He fought 16 times, winning the first 14 by knockout and 13 in the first round. In September 1993, Rutten made his debut in Pancrase against the 45lb heavier Ryushi Yanagisawa. 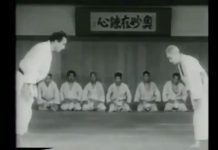 Rutten knocked Yanagisawa out with palms and knee strikes in only 48 seconds. On March 22, 1997 Rutten returned to Pancrase, taking 8 more victories, bringing his unbeaten streak up to 19 straight fights. Rutten left Pancrase as one of the most dominant fighters in the history of the organization for the UFC. UFC’s President Dana White appeared on Inside MMA in 2015 to announce that Bas Rutten would be inducted into the UFC Hall of Fame during International Fight Week in July of that year. Bas Rutten is the first European to be inducted into the UFC Hall of Fame. Rutten is part of the “Pioneers” wing of the UFC Hall of Fame. 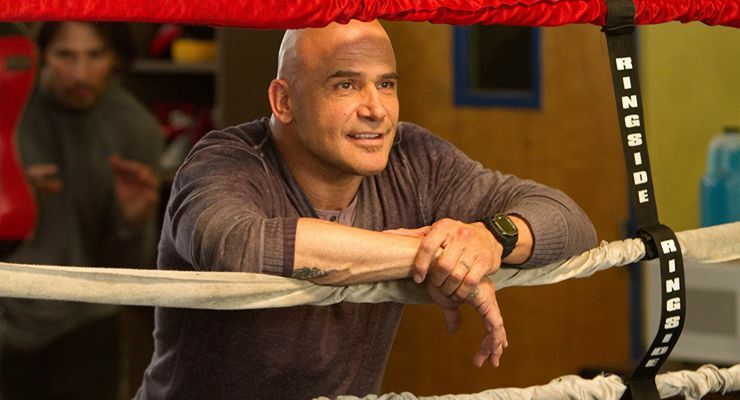 After his retirement from fighting in 1999, Bas Rutten focused on becoming an actor, getting small parts on TV shows such as Martial Law, 18 Wheels of Justice (2000), The King of Queens, Lights Out (2011) and the Canadian series Freedom (2000). He also plays in the TV series Kevin Can Wait (2017-2018). Bas Rutten has appeared in movies such as Shadow Fury (2001), The Eliminator (2004), and the comedy short The Kingdom of Ultimate Power (2005) which was featured in the 2005 L.A. Film Festival. It also won the first prize at the short film festival in NY for best comedy. He can also be seen in Paul Blart: Mall Cop 1 and 2. He was featured in the comedy movie Here Comes the Boom (2012) alongside Kevin James and Henry Winkler. 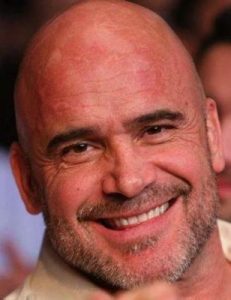 Bas Rutten played the role of a former MMA fighter and Dutch immigrant Niko trying to gain his citizenship in the United States. In return for help in getting his citizenship, Niko agrees to help train 42-year-old biology teacher Scott (Kevin James) in MMA so Scott can fight in the UFC. Bas Rutten has also trained former street fighter Kimbo Slice for his professional MMA bouts, as well as former Ring of Honor and Total Nonstop Action Wrestling world champion Samoa Joe. In 2006, Rutten was coach of a team for the International Fight League, an MMA organization that focused on team combat. Bas Rutten is the owner of the MMA gym Bas Rutten’s Elite Mixed Martial Arts in Thousand Oaks, California. 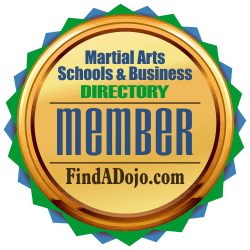 To find out more about Bas Rutten’s Elite Mixed Martial Arts click on the image on the left and visit the gyms listing on the Martial Arts Schools and Businesses Directory or FindADojo.com.